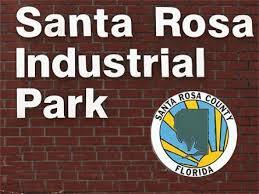 Two Santa Rosa County industrial parks, the Northwest Florida Industrial Park @I10 and 160 acres of the Santa Rosa County Industrial Park on Jeff Ates Road, have joined the ranks of certified industrial parks and sites in Florida. Santa Rosa began the three-phase intensive process used to certify sites through Gulf Power’s “Florida First Sites” certification program in the spring of 2013. There are only four certified industrial parks or sites in Florida, one in Jacksonville, one in Bay County and two in Santa Rosa County. The property on Jeff Ates Road received the industrial park certification and the NWFL Industrial Park @I10 received the industrial site certification. Site Certification is used as an industry recruitment tool as it helps eliminate risk factors by providing detailed information certified by an independent third party on utilities, access, environmental concerns and potential development costs. In 2013, 14 sites from public and private landowners were initially accepted into Gulf Power’s Florida First Sites program aimed at helping communities prepare locations to attract new industries and new jobs to the region. Of those 14 sites, 10 are still working to complete the certification process. Three have been certified and seven are still working toward their certification. The remaining sites are expected to be certified by the end of February. "Santa Rosa County quickly recognized and embraced the value of the Florida First Sites program," said Stan Connally, Gulf Power President and CEO. "With two certified sites, Santa Rosa County now has a competitive edge when working to promote the area to new and growing businesses." Gulf Power hired McCallum Sweeney, a nationally recognized site consultant firm, to offer an objective third-party analysis of the submitted sites. The consulting firm evaluates the properties, identifies improvements that must be made and then certifies the sites once they have met all the program requirements. Landowners had one year to complete the identified improvements — everything from obtaining permits, improving topography and producing engineering reports to making sure adequate utilities are available to the site. Gulf Power is paying half the consultant charges for publicly owned sites with private landowners paying the full amount. The seven remaining sites working toward certification include one each in Bay, Walton and Okaloosa counties, three in Jackson and one more site in Santa Rosa County. For more information on all of the sites, visit FloridaFirstSites.com.